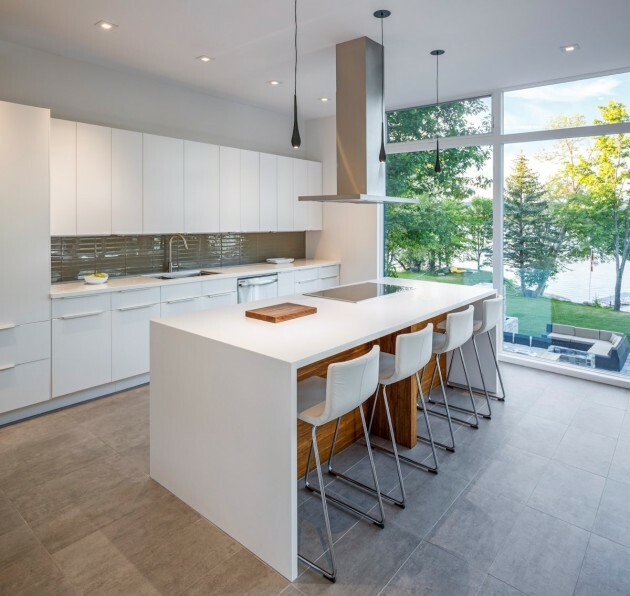 Christopher Simmonds Architect have designed a contemporary home in Ottawa, Canada. 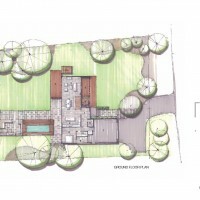 Simplicity and openness define the experience of being in this modest home. 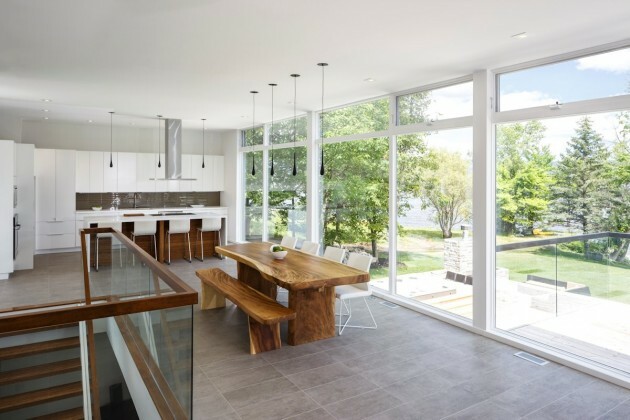 To the river, a continuous wall of glass spans the living, dining and kitchen space allowing a full panorama of the passing seasons. Away from the water the view is framed and edited by a simple porch. 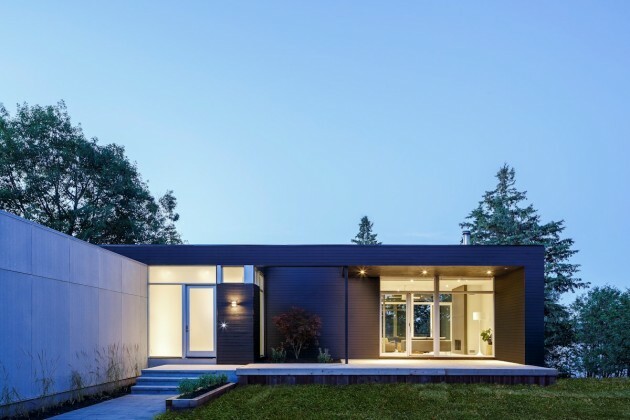 The porch roof has been opened to create space from nature, a single Japanese maple which is inserted as a foil to the simple black stained cedar cladding of the house. The garage volume is differentiated from the house by a cladding of grey cement board. 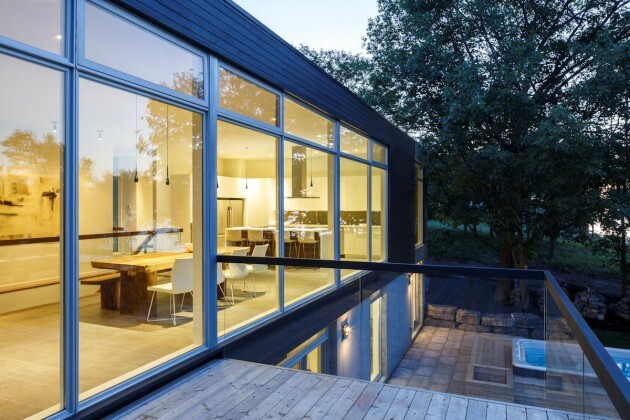 To the river, the simple cantilevered form of the deck is surrounded by frameless glass. 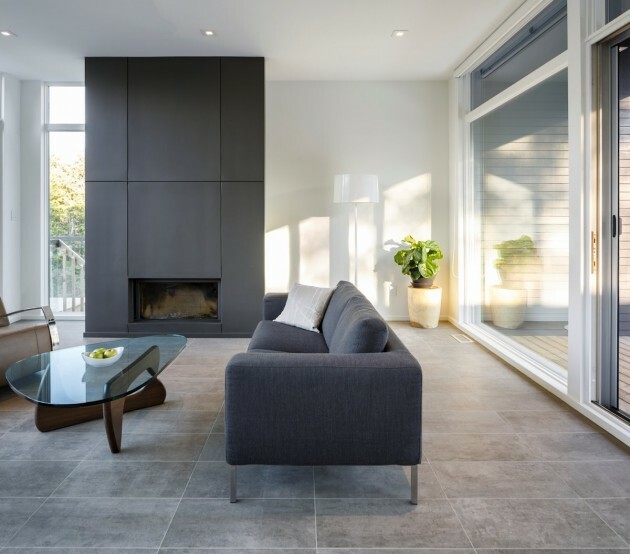 The porch and deck, occurring opposite each other, stretch the space of the living room out into an experience of the landscape and provide varied options for sun, shade, shelter, and view. 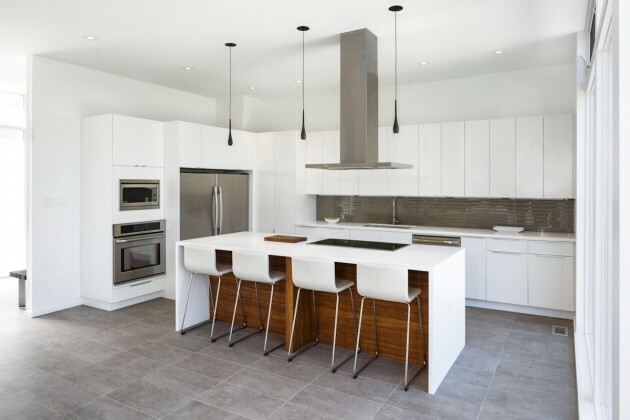 In the kitchen, high gloss cabinetry with sleek pulls and a glass tile backsplash create a custom look while staying within the modest budget. 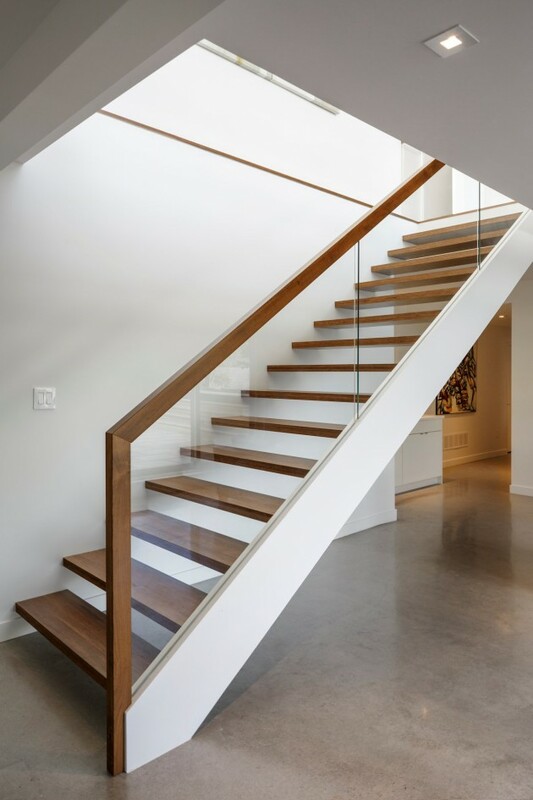 The juxtaposition of natural and industrial materials continues on the interior; bamboo stair treads complement polished concrete floors in the lower level. 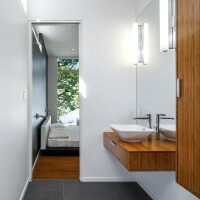 Bamboo flooring and cabinetry bring warmth to the master suite. 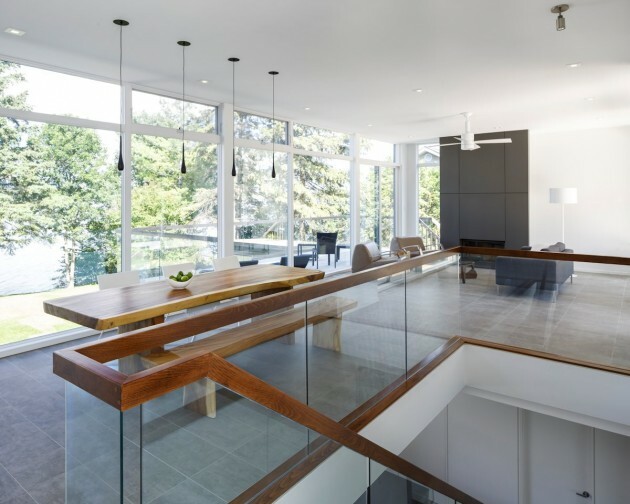 The open-riser stair with its glass guard keeps the lower level family room feeling connected to the main living space.